Those inclined to vote against the casino municipal services agreement ought not buy into the contention that a no vote will hurt Hesperia if the casino goes in anyway, said author Brett Fromson, who spoke before a mostly anti-casino contingent last Friday. "You have to ask yourself if this is a kind of a bluff," Fromson said. "Call their bluff." Furthermore, Fromson, who has written for Forbes Magazine, the Wall Street Journal, the Los Angeles Times and other noted publications, questioned if the agreement is actually the best for Hesperia. 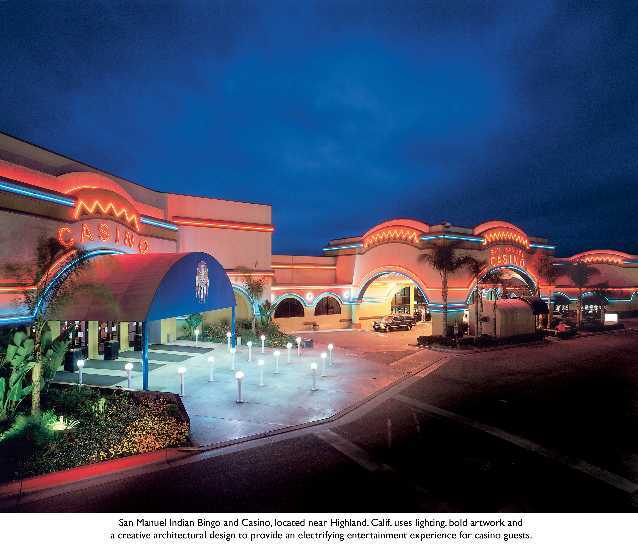 "If you're going to prostitute yourself you ought to get paid," said Fromson, who suggested the casino could have as many as 25,000 visitors daily. "You're talking hundreds of millions of dollars a year they (the tribe) will be getting. They want this deal a whole lot more than you do. Remember they found you." Fromson paraphrased billionaire Warren Buffett, who he has interviewed several times: "If you're playing poker and you don't know who the patsy is, you're the patsy." 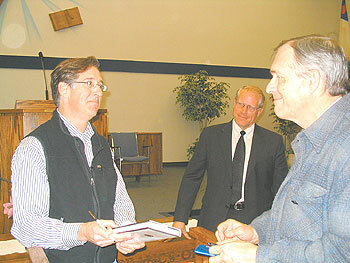 Fromson's Hesperia book signing event at Hesperia Church of the Nazarene was the last stop of a two-week tour to promote his book, "Hitting the Jackpot: The Inside Story of the Richest Indian Tribe in History." The book tells the story of the resurrection of the Connecticut-based Pequot tribe, which reformed, after nearly dying out, to bring in an estimated $200 million to $250 million a year at its Foxwoods Casino. The facility is regarded as the largest in Northern America. "They have more money than God dropped on them," Fromson said. "I think the dynamics here (California) will be played out similarly as Connecticut," he said. "The fundamental dynamics are not that much different. I think you will be discussing and debating this for decades." The sentiment of Connecticut residents has changed over the past decade, Fromson said, because they have seen the adverse effects of tribal gaming, namely the encroachment of the reservation itself, which is threatening to devour literally thousands of acres in nearby neighborhoods. Gaming increases traffic, which causes increased pollution. And gaming, which he called "a grubby business," goes "24/7," and "on the weekends you'll have way bigger crowds." He has noticed a decrease in neighboring property values. Problem gaming also can become a problem, he said. He wrote about a church treasurer who embezzled money to support his gambling habit. Eventually the man was sent to prison. "I'm not making it up," he said. "But this sort of stuff happens." Most importantly, Fromson said, the community needs to discuss all aspects of the casino proposal. "If you don't have a public debate you can't make an intelligent decision," he said, adding, "the whole role of the press is to engage issues aggressively." While the tribe has much greater resources than community members against the casino, he said anti-casino voters can rally a victory. "They tribe may have all the money, but they don't have a lot of votes," Fromson said. "If you're going to prostitute yourself you ought to get paid"
"They have more money than God dropped on them"
...[T]he encroachment of the reservation itself, which is threatening to devour literally thousands of acres in nearby neighborhoods. ...[G]aming, which he called "a grubby business"
Other businesses buy property when they want to expand. Tribes "devour" acres, according to Fromson. If he thinks that's bad, I wonder what he thinks of the destruction millions of acres of rain forest a year? So communities like Hesperia will "prostitute" themselves to establish tribal gaming within their borders, eh? But Fromson isn't prostituting himself to sell his book? Uh-huh, sure he isn't.